Why does a real estate agent need a digital presence? During a recent New Agent Orientation at our firm I explained to our new recruits why they need a digital presence. What exactly is a digital presence? Simply, it means your online activity through either your website or blog, social media, comments you made on a video, etc. When someone looks you up online, all these should appear in that search. I like to think of it as an extension of your business card. 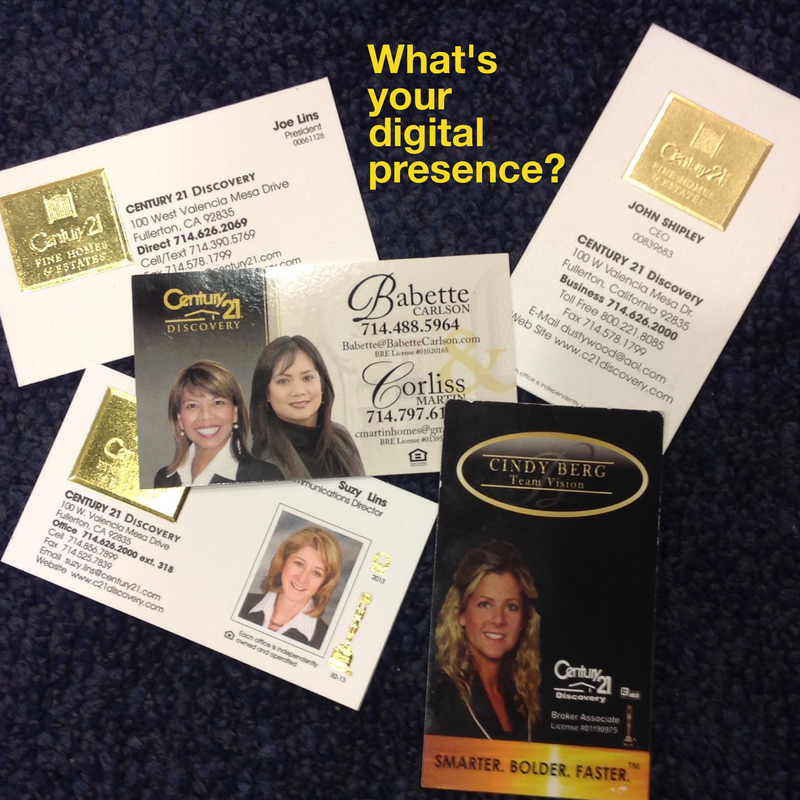 That’s why it’s so important for REALTORS® to have some sort of digital presence. According to National Association of REALTORS® (NAR) 2014 Profile of Home Buyers and Sellers, 40 percent of buyers and 38 percent of sellers found their agent through a referral from a family member or friend. That same report stated that two-thirds of buyers and 70 percent of sellers only interviewed one agent before they found the one they wanted to work with. Most clients are not shopping around for agents once they get that referral but there is a pretty good chance they are checking you out before they call you. Google yourself to see what shows up. Is this a good representation of you and your business? The same NAR research showed that 92% of buyers used the internet in some way during the home buying process. Many buyers find the homes they are interested in online and sellers go to third-party aggregator sites to get an idea of what their home is worth but very few find their agent online. The reality is that everybody knows somebody who knows somebody who is in real estate. If not, they’ve been living under a rock! If I was looking someone to help me make the biggest purchase of my life, first, I’d get a referral and then I would probably check them out before I called them. I’d “Google” them. That’s why it’s so important for real estate agents to have a digital presence that is current. LinkedIn – Get a LinkedIn profile with a professional photo and complete the profile with your experience, education, certifications, volunteer work, etc. If you don’t have a professional photo headshot, get one. We have a local photographer that will take 12 professional portraits with the proper lighting and background and give it to you on a disk for $75. You own the photos and can use them across all your marketing efforts. On that same note, if your photo is more than five years old get a new one. It drives me crazy when I see agents use a photo from 20 years ago. I hate to break it to them that they don’t look anything like that anymore. Website – Get a personal website. There are plenty of affordable websites out there for real estate agents. 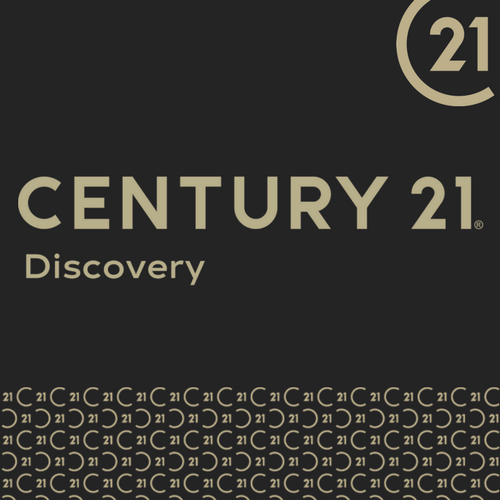 Through Century 21 every agent in the system is provided a free website. These are template based sites that allow the agent to personalize them with their own information. FYI – Most buyers will probably not go to an agent site to start looking at homes. They will most likely go to sites like Zillow, Realtor.com, Trulia, etc. But when that potential client does research you, that site will come up in their search results. It’s another way to show you’re knowledgeable and legit. Facebook – For those who are already on Facebook I recommend they create a Facebook business page. This is an easy way to market yourself and your listings within your own circle of influence. Facebook business pages also have the ability to do micro-targeted advertising at just dollars a day. It’s a great tool for advertising that new listing or an Open House. Also, since Facebook is the largest social media site out there it will appear high in a search engine ranking when you get “Googled”. One other thing I tell our agents is that if they are going to have a Facebook business page they need to post to it regularly. I suggest a minimum of three times per week. You don’t want people coming across your Facebook page only to see you haven’t posted anything in six months. That looks like you don’t care and are not engaged in your business. Plus Facebook makes it easy. You can schedule your posts in advance. Additionally, I recommend that every agent set up a free profile on third-party real estate sites like Realtor.com, Zillow, Trulia. These sites allow you to customize your profile, show your recent sales/listings and even get client reviews. There are many more ways for agents to market themselves, but this is what we recommend to our agents as they begin to develop their digital presence. Remember, just think of it as an extension of your business card.